Are you looking to build a new home or considering renovations to an existing property? You may need to apply for a construction loan. A construction loan with most lenders has a progressive payment draw down option, which enables you to borrow the loan in alignment with building/construction stages. 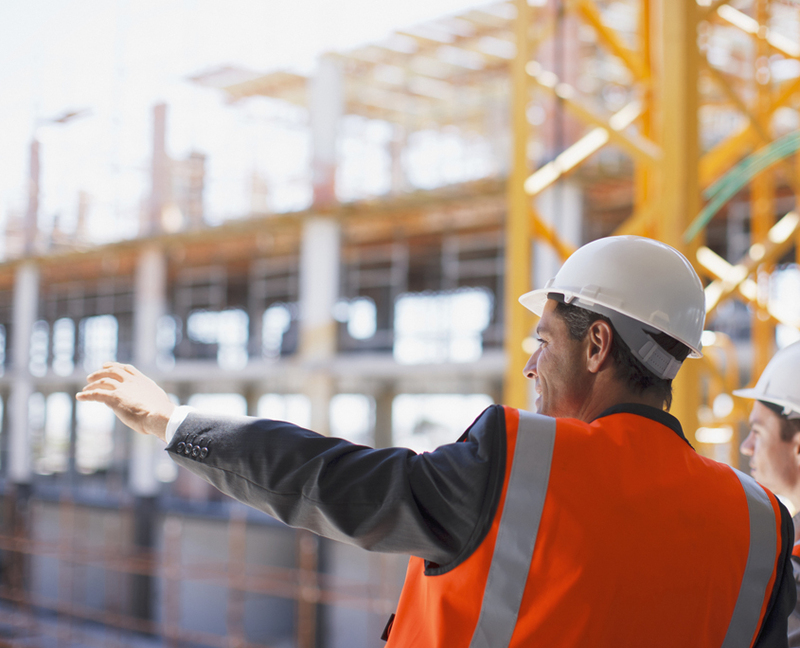 What documentation do you need to provide to support a construction loan? In order to assist your financial institution in determining an approved loan amount, your bank may require a valuation to be completed on an “As If Complete” or “To Be Erected (TBE)” basis. That is a valuation based on the assumption of a completed product, in line with information and documentation provided. These documents enable a clear and unbiased picture to be provided to the bank as to what the finished product will be, in the form of a valuation. In addition to this, they will also require a market valuation based on current market conditions, which is in line with recent comparable sales evidence. The “As If Complete” or “To Be Erected” valuation can only be based on documentation provided, so it’s important to provide as much information as possible including quotations for additional work over and above the building contract. This may include items such as landscaping, driveways, fencing, floor coverings, window coverings etc. This information is based on the most common construction loan valuation scenarios we come across. There may be additional documentation requirements, dependant on your nominated financial institution, please contact us for further information about construction loan valuations. Today we are in Victoria, let’s look at the local property market in the Melbourne metropolitan area. The headlines are full of the booming Melbourne property market and that there are signs of a bubble. But is this correct? Although the medium value of Melbourne has increased by 11.5% over the last twelve months and by 6.1% over the last three months, the performance of the Melbourne property market is not uniform, it differs across the market sectors and locations. The strongest location and sector, over the last few months is the booming eastern suburbs which have become the favourite of the overseas and local investor market, including owners of self-managed superannuation schemes. Residential properties that can either be rented or redeveloped are highly sought after in most middle, eastern Melbourne suburbs. Suburbs that are closer in to the CBD are seeing period style dwellings being purchased at auctions, often well above vendors’ reserves. Properties located in some public school zones are also achieving much higher prices than very similar properties situated just outside those zones. Sale prices in these locations are very much demand driven, and in many situations, purchasers have their details on “agent’s lists” and are notified by real estate agents, of properties just listed for sale, prior to any real marketing campaign begins and often a sale is transacted before the property has been advertised. This is heightened by the unusual low number of listings of properties for sale (down 9.3% from this time last year). This is a sign of a very strong market and also puts some urgency into purchaser’s decisions, and tends to drive up prices, but is it sustainable? With the low interest rate environment, the hunger of well cashed up owners of self-managed super funds and overseas investors who consider that Australia is very affordable and a safe haven for investment, unless there is some unforeseen overseas or local crises, it is expected that this demand will continue albeit at a slightly lower level. APRA have recently demanded that the banking industry impose harsher restrictions on lending for investment properties and this will have some effect on local investor demand but cashed up overseas investors will remain unaffected. It is yet to be seen if the recent Chinese stock market correction will have an impact on the Chinese investor sector. The supply of investor grade apartments in and around the Melbourne CBD is exceeding the demand for this product and therefore prices in this sector are showing signs of weakening but higher quality apartments aimed at the owner occupied market (particularly “downsizers”) are still holding and in many developments increasing in value. There are signs that the foreign purchasers are moving away from apartments and focussing on townhouse style properties, as they are becoming more discerning and not as willing to pay the significant premiums that some developers have been charging. Regardless of the sales, most of the big developments that are currently under construction are already fully sold. There is some evidence that for the established apartment market, just over 50% of the investment style apartments are being sold to Sydney buyers. They are chasing the higher yields of these second tier apartments. Most agents are reporting a significant increase in listings. One firm mentioned that they currently have 6 listing s in one ten year old development. This is something they have never seen before and they are the dominant agent in this building. A recent jump in value in some of the established apartment market has come about due to agents comparing “off the plan” prices with the established apartments, in a marketing strategy, which makes the established apartments seem like very good buying. The increase of supply in the inner suburbs of new developments is likely to have an impact on city rentals. Carlton, North Melbourne and West Melbourne have a significant number of developments currently under construction. In a nutshell, the overall residential Melbourne market is still strong, driven primarily by investors, this is likely to continue in the short to medium term, although at a slower rate. *Market statistics provided by CoreLogic RP Data. *Median price data sourced from Real Estate Institute of Victoria (REIV). If you would like to find out more about our property advisory and valuation services in the Melbourne metro area, please contact our local team. https://www.opteonsolutions.com/au/wp-content/uploads/sites/3/2016/04/construction_loan_background.jpg 684 845 inmotiondesign //opteonsolutions.com/au/wp-content/uploads/sites/3/2016/03/opteon-logo.png inmotiondesign2015-08-25 05:08:042018-01-04 14:42:11Venture Into Valuation: What documentation do you need to provide to support a construction loan?